Another great match: Sustain Restaurant + Bar is cooking 5 courses; Wolfe's Wine Shoppe is bringing 10 white and red Burgundy wines, including Domaine Coastal, Chablis; Regis Bouvier, Marsannay; J. P. Fichet, Meursault; Camille Giroud, Santenay; Domaine de Montille, Beaune; Bruno Colin, Chassagne-Montrachet; J. N. Gagnard, Chassagne-Montrachet; J. & M. Vincent, Santenay; and Voirin Jumel, Champagne. Reception, 5 courses, 10 wines, for $125 inclusive of tax and tip. 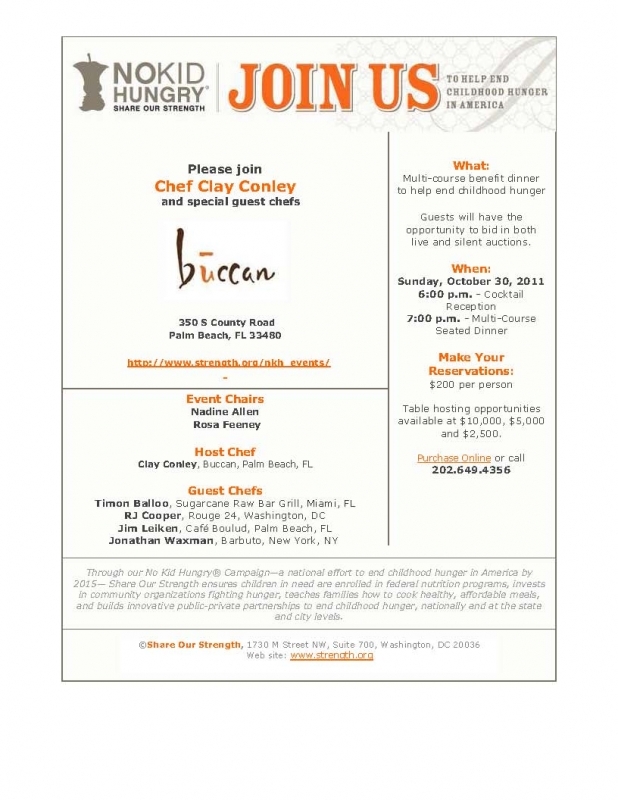 For details and reservations contact Sustain at 305.424.9079 or info@sustainmiami.com. Back to the charity circuit with Common Threads, another great organization that's dedicated to teaching low-income children the importance of nutrition and wholesome foods. 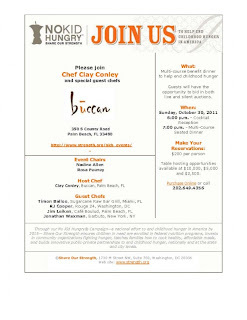 Their 2nd Annual World Festival in Miami brings a great lineup including Chef Michelle Bernstein (Michy's, Sra. 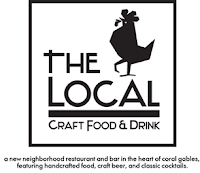 Martinez), who's been intimately involved in the group for years, Timon Balloo (Sugarcane), Jamie DeRosa (Tudor House), Sam Gorenstein (recently BLT Steak, now joining Michael Schwartz at the Raleigh), Joel Huff (Azul), Michael Reidt (Area 31) and others. General Admission is $150, 7pm - 10pm at the Cruz Building in Coconut Grove, 3157 Commodore Plaza. Buy tickets here. And if you're still hungry ... Chowfather's also got the details on an October 25 Italian wine dinner at Michy's (he must be more connected than me, I didn't get that email! ).